Through a partnership with Magic Light Pictures, brokered by Australia’s Merchantwise Licensing, The Gruffalo Spotters Trail augmented reality app experience will come to life for the first time in Australia at the National Trust Currumbin Wildlife Sanctuary (NTCWS) just in time for the April school holidays. The event celebrates the 20th anniversary of the much-loved children’s classic. 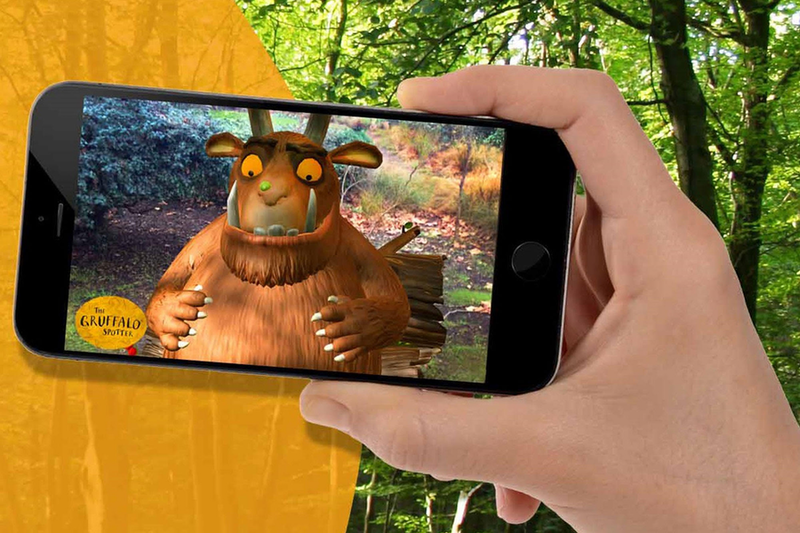 An Australian first, utilising augmented reality technology in a natural environment, The Gruffalo Trail is included with entry and families can download the complimentary Gruffalo Spotters app to follow clues through an interactive trail. The app allows you to take photos next to the characters which are then automatically added to your gallery. This makes it easy to share your favourite pictures via social media using the hashtag #GruffaloSpotter. For those wanting to step away from technology, there are heaps of fun interactive experiences along the trail to enjoy without the app too. “We are very excited to see The Gruffalo Trail come to life here in Australia for the first time at the National Trust Currumbin Wildlife Sanctuary. The Gruffalo is deeply loved in Australia and we are certain Aussie families are going to really enjoy this fun and unique experience,” said Merchantwise Managing Director, Alan Schauder. Currumbin Wildlife Sanctuary General Manager Michael Kelly said this iconic character’s presence at the Sanctuary will bring joy to thousands of kids. The Gruffalo book, written by Julia Donaldson and illustrated Axel Scheffler, has sold more than 13.5 million copies worldwide, and has been portrayed on stage, in an Oscar-nominated film and now in augmented reality. The much-loved classic celebrates 20 years this year. “We hope that families with young children will enjoy visiting the Sanctuary for an exciting adventure like no other, and one that they can only experience here on the Gold Coast,” Michael said. The Gruffalo Trail and The Gruffalo Spotters app launches at National Trust Currumbin Wildlife Sanctuary on 5 April 2019. The Gruffalo Spotters app is free to download.